Corporate: Family Friendly Events Large and Small. "Cute Park with a Historical Flair"
Dutch Village is ready for any gathering you have in mind. 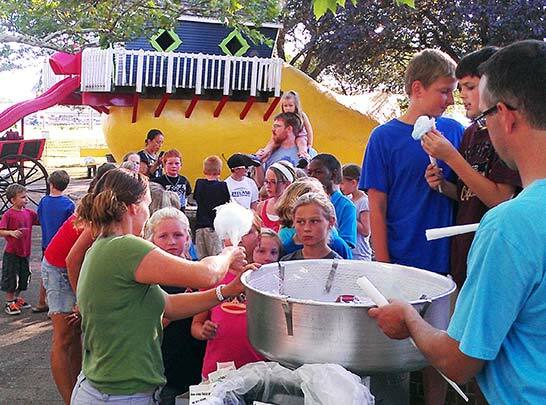 We're the perfect place for your corporate event for the whole family, with fun built right in. You can choose between daytime events mingling with our visitors or select an evening exclusive event. 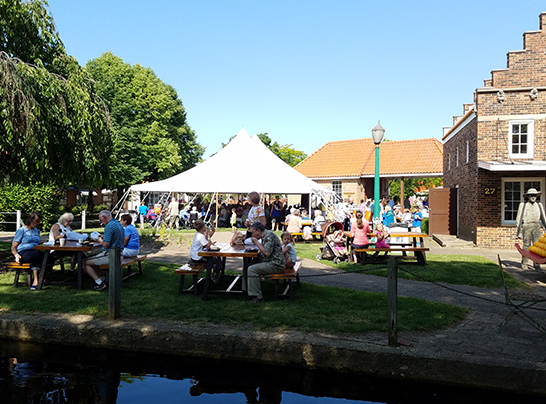 Your event at Nelis' Dutch Village is all about you and your group. You can customize with food, private venues, extra attractions and more to make it a perfect event for your company. With an after-hours event (don't worry, since we close at 6:00pm to the public, there's still plenty of sunlight! ), we can keep rides and attractions open late just for your group. 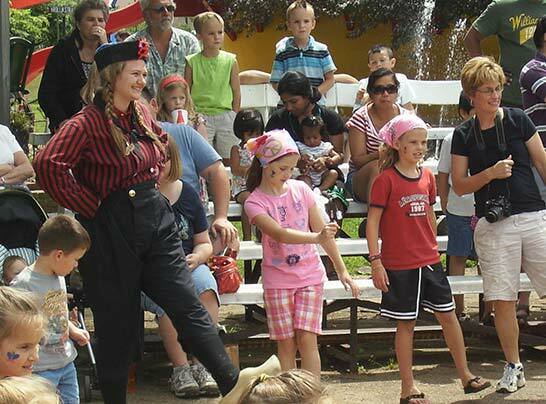 Your group can enjoy exclusive shows and demonstrations. Our new patio will be able to host a multitude of your get-togethers including company picnics, informal meetings, lunches and dinners. The new construction features a covered pavilion with ample seating (up to 150) for good food and conversation. A grilling station with easy-access countertop space will allow for buffet-style catering. It includes a sink for cleanup and plenty of electrical outlets for crockpots and other kitchen appliances. The new fire pit will be a crowd-pleaser for your early or late season events. Nothing brings together good company like a cozy fire. 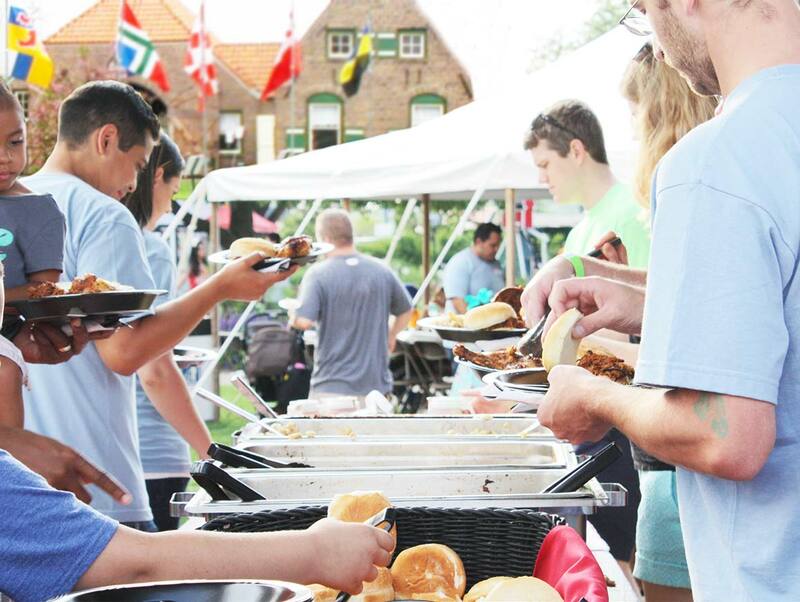 At Dutch Village, your company will have your choice of food options. You can enjoy a la carte food choices cooked in our restaurants and food shops or have a complete catered meal in one of our private venues. 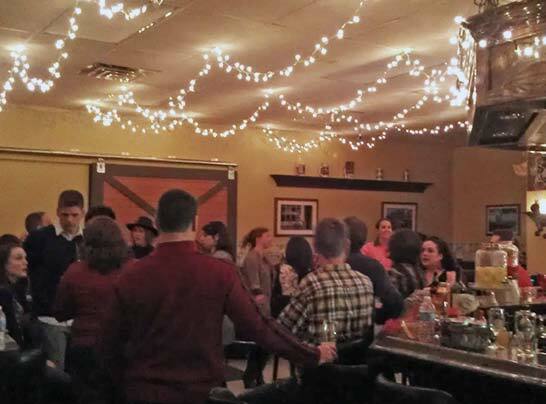 We can include beer and wine at the Thristy Dutchman Pub for your group. Nobody will give your corporate group more options than Dutch Village. 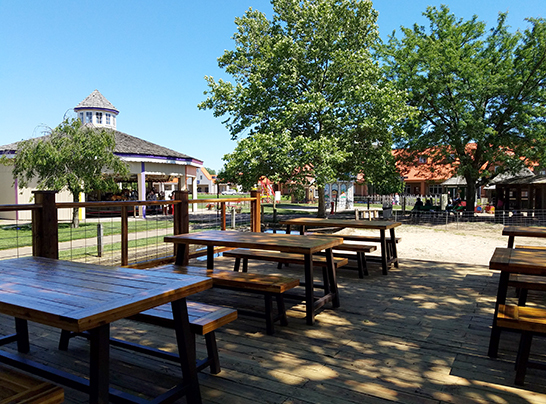 In addition to our semi-private new Event Patio, Dutch Village also offers other private venues on site. The recently remodeled Thirsty Dutchman Pub is also available for your intimate, private rental. This space offers indoor or outdoor seating for your corporate event. Beer, wine, and cider service is included. The pub now features beer and cider on tap. Book Now, We're Ready for You! What color do we associate with a banana? How large is Dutch Village? The village is situated on 10 acres of beautifully landscaped gardens, canals and brick walkways. How long should I plan for my visit to Dutch Village? We recommend 3 to 4 hours to visit the village attractions with more time to eat and shop. 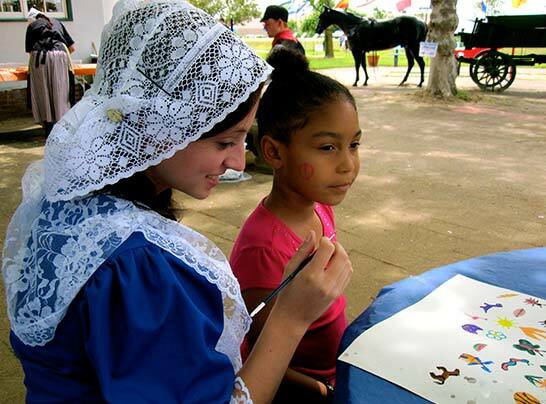 All presentations, demonstrations, petting farm and rides are included with your admission. For exclusive after-hours groups, you may select which attractions stay open for you.